Trenchless Pipe Lining, Camera Inspections, Clean/Vacuum: Avrett Co.
We offer trenchless products that can be installed with minimal disruption. Avrett offers jointless, seamless, pipe-within-a-pipe rehabilitation products that can renew structural integrity to host pipes while increasing flow capacity and significantly reducing long-term maintenance costs. Our products can be installed in host pipes of all materials, shapes and a wide range of diameters. Our products provide the least cross-sectional reduction of all methods used to rehabilitate pipes. The smooth, jointless interior of our products typically improves flow capacity. There are no joints or seams that can separate over time. The smooth interior also provides excellent abrasion resistance and reduced maintenance. 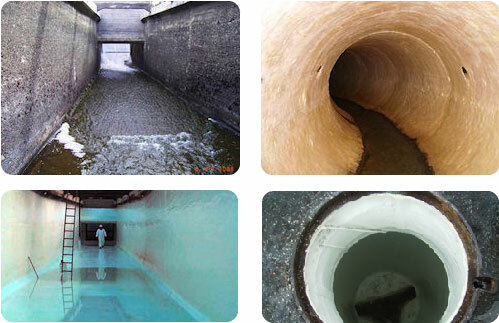 For storm, sewer or drain pipe larger than 48” we use the Warren epoxy spray-on system. 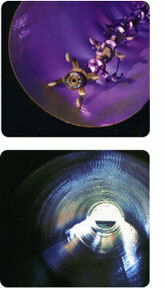 This expoxy system also can be applied to manholes, spillways, tunnels, aquaducts and flumes. This system is Standard 61 Certified and can be used for potable water systems for 36” and up.